Chandeliers are natural focal points of a room, but if you don’t select a size that matches the scale of your room, the design can fall flat. Furthermore, a chandelier that is too small for your room will actually make a space look smaller. A good tip is to measure the room’s length and width in feet, and add those measurements to determine the correct diameter of the lighting fixture. For example, if your room is 14 feet wide and 18 feet long, the diameter of your chandelier should be at least 32 inches. However, it is also important to consider the size of the furniture in the room. 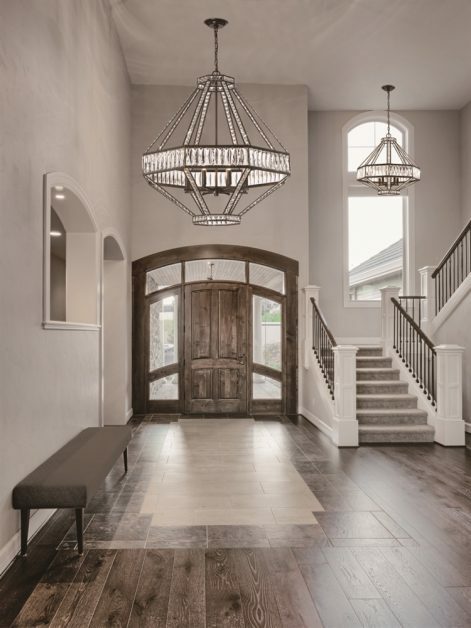 For more information on determining the correct size of a fixture, bring your room measurements into Hermitage Lighting Gallery and speak with a professional.